The IIDS is a knowledge and development center that bridges scientific developments in the field of Dialogical Self Theory with practices in counseling, psychotherapy, coaching, education and organizations. Its aim is to facilitate further developments of practices, methods and theoretical conceptualizations based on Dialogical Self. 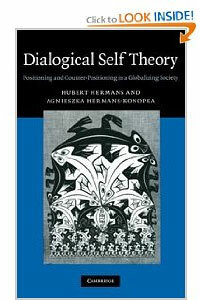 It launches and stimulates publications and invites an innovative dialogue between scholars and practitioners supported by the framework of Dialogical Self Theory. As knowledge and development center the Institute cooperates closely with the Dialogical Self Academy (DSA) which offers training programs inspired by Dialogical Self Theory. The purpose of the conference is to create a forum for dialogue across the boundaries of specific (sub)disciplines that explores the possibilities and challenges related to the dialogical self. As such, the Ninth International Conference on the Dialogical Self is open to psychologists and scholars of other social sciences, linguistics and arts. Dialogical Self Practice Network is a global network of practitioners, scientists-practitioners, managers and artists who are involved in the application of methods based on Dialogical Self Theory.